They were found on a beach in northern France and handed over to the British authorities to investigate the civil aviation accident. 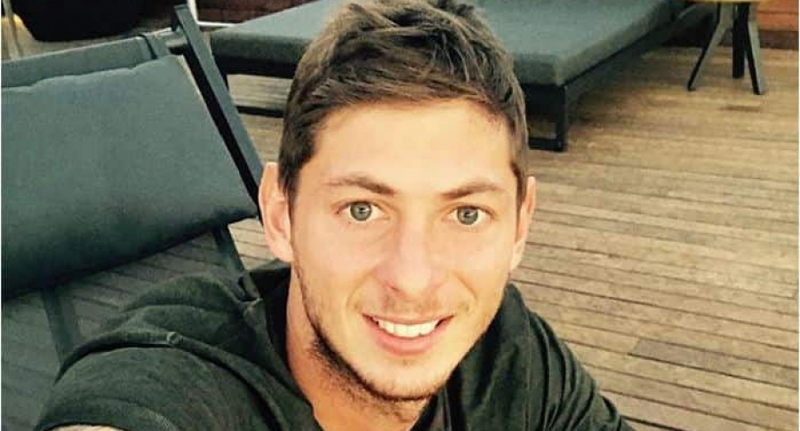 The investigators informed in the last hours that the two cushions that they found can be of the airplane in which they disappeared the Argentine soccer player Emiliano Sala and his pilot David Ibbotson when they flew over the channel of the Channel. “We have commissioned a specialized control vessel to probe the seabed to try to locate and identify any remnants of the plane,” the researchers said. These operations must begin “at the end of the week” and continue “up to three days,” they said. The police searched for three days and a total of more than 24 hours, exploring the coast, boulders and islands with the help of three planes, five helicopters and several boats, before leaving. Sala, 28, and his pilot, Briton David Ibbotson, flew on January 21 aboard a single-engine Piper PA-46-310P Malibu between the French city of Nantes and the Welsh city of Cardiff when they disappeared from the radars to the 20H20 GMT, about 20 km from the British island of Guernsey, located on the English Channel. Nantes had just transferred Sala to Cardiff for some 17 million euros, a record signing for the Welsh club that, threatened with relegation to the second division, had put all their hopes in the young Argentine promise, author of 12 goals since beginning of the season in the French league. His disappearance shocked the fans of both teams and the world of football in general. Many stars, particularly of Argentine origin such as Leo Messi or Sergio Agüero gave their support to the family, who even appealed to the president of Argentina, Mauricio Macri, to ask the French and British authorities not to abandon the search. Finally, thanks to a collection launched online, the player’s sister, Romina Sala, and her mother, who moved first to Cardiff and then to Guernsey, were able to launch a private search. “The family is determined to find the answers it does not have,” said oceanographer David Mearns, director of the Bluewater Recoveries sea search company, hired by the Sala. “We can not guarantee anything, we can not guarantee that we will find the plane, but we have good hopes,” he said.